Today we pray for the city of Paris after the devastating fire at Notre-Dame. 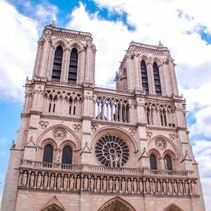 The Very Revd Dr. Robert Willis, Dean of Canterbury, said “Our hearts and minds are with the people of Paris and the whole of France in light of the unimaginably tragic fire at Cathédrale Notre-Dame De Paris. 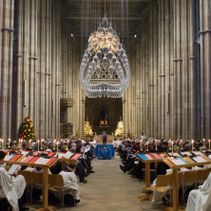 The Church of England has commissioned an independent audit of cathedral arrangements for keeping people safe from harm and abuse. 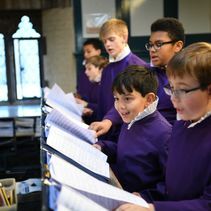 These mandatory audits follow those carried out at diocesan level over the last two years. 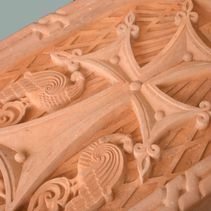 Canterbury Cathedral was pleased to volunteer as first among all the cathedrals in England and Wales to be audited. 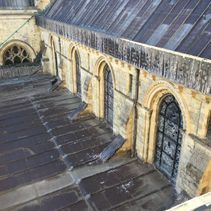 Canterbury Cathedral has been awarded a major grant by Viridor Credits in order to carry out essential repair work to the South Quire Tribune roof and Quire gutters. 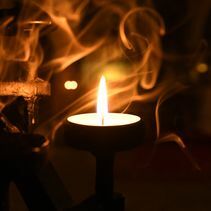 Today we stand with and pray for the people of Aotearoa-New Zealand, especially for those who have died in the recent attacks. We pray for, and commit ourselves afresh, to peace and understanding between all the peoples of God’s world. To coincide with International Women’s Day 2019 we asked four women who work at the Cathedral to identify a woman from its history who inspires them within their role. Jo Kelly-Moore is the Archdeacon of Canterbury Cathedral. She is one of the Cathedral clergy and is actively involved in its daily life. 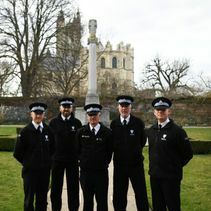 On Tuesday 19 February, a further four Close Constables were sworn in as Cathedral Constables at Canterbury Magistrates Court by Mrs Karen Dibble, Chair of the Bench of East Kent Magistrates. Chris Livett, David Palmer, David Keningale and Ryan Bullows join Jim Morley and Helen Hayford-Joyner as Attested Constables. One of Canterbury Cathedral’s most treasured historical items has had a taste of modern medicine. 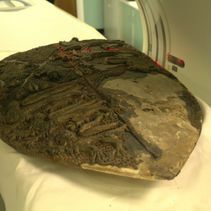 The 14th Century Black Prince’s Shield has been subject to a CT scan at Kent and Canterbury Hospital to help experts decide whether it was purely ceremonial or if it was made for battle. A two metre tall half tonne stone cross, hewn out of volcanic stone from Armenia, has been given on long term loan to the Cathedral to commemorate the Armenian massacre of 1914-1923. 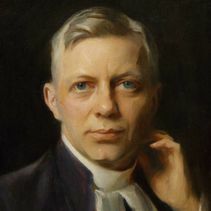 A statue of George Bell, a former Dean of Canterbury and later Bishop of Chichester, is to be completed and installed at Canterbury Cathedral. 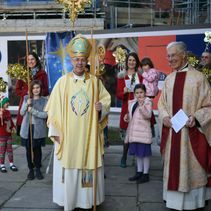 Bishop Bell was Dean between 1924 and 1929 and during that time founded The Friends of Canterbury Cathedral who celebrated their 90th anniversary in 2017. A new prayer station including an icon which depicts Jesus washing Peter’s feet has been installed and blessed in the Cathedral Crypt. Following the Cathedral’s Epiphany Carol Service members of the Congregation were invited to hear a special panel discussion ‘Towards an Equal Sky: The Next 100 years’ chaired by The Very Reverend Dr Robert Willis, Dean of Canterbury, and featuring a panel of respected artists and activists. Preaching to a packed congregation at the Cathedral, the Archbishop of Canterbury, the Most Revd Justin Welby spoke of the transforming impact of Jesus Christ, God’s word and language of love, able to change every person and every situation.